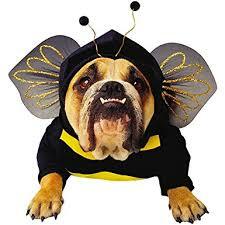 Bee stings – Many dogs are curious about bees and are allergic to bee stings. This is a common situation that can be lethal; your dog goes outside and finds a bee to pursue. You may never see the bee, but your dog comes home with a swollen face. He may be crying or pawing at his snout or wherever the bee sting occurred, and this may lead to breathing difficulties. Call your veterinarian immediately if this happens. Fly bites – While usually not dangerous, fly bites can leave a red ring, which is often mistaken for Lyme Disease. Dogs and cats do not get the typical “target” shaped rash that people get. Of course if your pet is allergic, and you see any of the signs above, call your veterinarian. Fleas – Fleas are an itchy nuisance to pets, and some pets may also be prone to Flea Allergy Dermatitis. Those with allergies can literally scratch themselves raw. Fleas can also transmit tapeworms in dogs and cats, and Bartonella in cats. Again, prevention is the best medicine, and there are flea preventatives available in topical or oral form. Ticks – Among the most disease causing insects, they can transmit Lyme Disease, Anaplasmosis, Babesiosis, Ehrlichiosis, Rocky Mountain Spotted Fever, Cytauxzoon Felis, and Rickettsia. We have been seeing 7-10 new cases of Lyme Disease for over one year. Please use a Tick preventive medication and help avoid the heartache and expense of these diseases.